This is a bit of a departure from my usual blog posts but stick with me! This started out as a quick Google search for my husband’s Christmas present then turned into a project to explore the Storypad button on Storify. Anyone who knows me knows I like a good cup of espresso coffee. You also probably know we have a rather nice Gaggia coffee machine at home which does the job. My husband is better at making espresso coffee than I am, I admit. So when I asked him what he’d like for Christmas, I wasn’t altogether surprised when he said he’d like a new, metal coffee tamper. (For those of you who are not in the know, the coffee tamper is a flat disc with a handle that is used to press the coffee grounds into the filter.) Apparently his current tamper – which came with the machine – is a bit rubbish. So that’s a rubbish tamper. He’d really like something like this. OK, so how much do these metal tampers cost? “About £25.” What???!!!! “At least.” Now, don’t get me wrong, I have no objection to spending £25 on a Christmas present for my husband. But I do feel a little queasy about spending £25 on a piece of metal for squashing the coffee into the little filter basket thingy. Couldn’t you, you know, like, just use the back of a spoon? 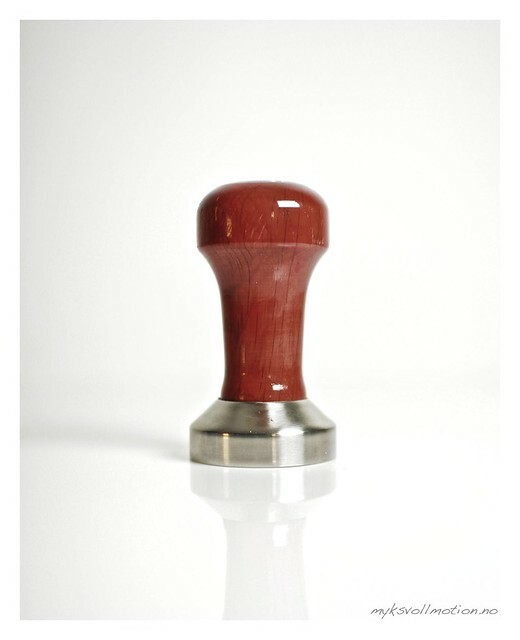 So this started me on a little internet journey exploring the purpose of tamping, the right method to use and, of course, the right tamper to buy. OH MY GOODNESS! You would not believe how seriously people take this subject. So, first things first, why do you need to tamp the coffee down? 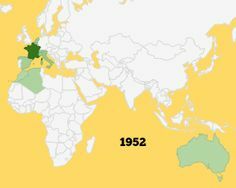 Virtual Coffee is a US blog with all the answers. Unfortunately, a proper tamping method is rarely performed by most baristas in the United States. At most, you will see a mild flattening motion where the server gently lifts the dosed basket up to a tamping plate mounted on the outside of many grinders. Some baristas have heard that firm tamping is important, but really don’t understand the mechanics. In this case, you will see the barista pressing firmly on the coffee and than rapping the side of the portafilter violently and repeatedly, as if it were necessary to kill the coffee before brewing it. Tamping is necessary because the brew water is under major pressure (8 to 10 times the weight of gravity) and will have an almost intelligent ability to find the path of least resistance through the coffee. If it does find channels that are easy to get through it will rush through these areas, overextracting the coffee surrounding the channels and underextracting the coffee in the channels. The resulting beverage is the worst of circumstanceswhat flavor does get into the cup is bitter and astringent, and so much of the coffees potential good flavors remain behind in the portafilter basket. With firm and even tamping, the water has no choice but to flow through all of the coffee uniformly, and if the barista has adjusted his or her grind correctly and the espresso machine is in good order, the resulting coffee beverage represents the best the coffee has to offer. Step 5: Your final step in tamping is quality control assessment. Noting the quality of the extraction (and of course the best duty of all is tasting the coffee!) is critical to improving your tamping skill. Also examine the spent coffee in the basket after brewinglooking for “worm holes” which is a sure sign of channeling where the water found a weak spot in the coffee pack. The knocked out grounds should have the form of a puck; if it’s mush then the grind and the tamp were off. Ultimately, the quality of the espresso will be a reflection of the training and the consciousness of the barista. Nowhere is this more apparent that in the tamping technique of the barista. I BET WE’VE GOT WORM HOLES. I JUST KNOW IT!! OK, so now I know that my husband must have an expensive, metal tamper for Christmas. So what size tamper should I buy? I imagine that’s pretty straightforward? They’re probably universal, one size fits all, right? Or, at least, really easy to just measure with a standard ruler? Here’s what the Happy Donkey coffee website says in reply to a seemingly simple question. Q2:What size tamper do I need for my espresso machine? 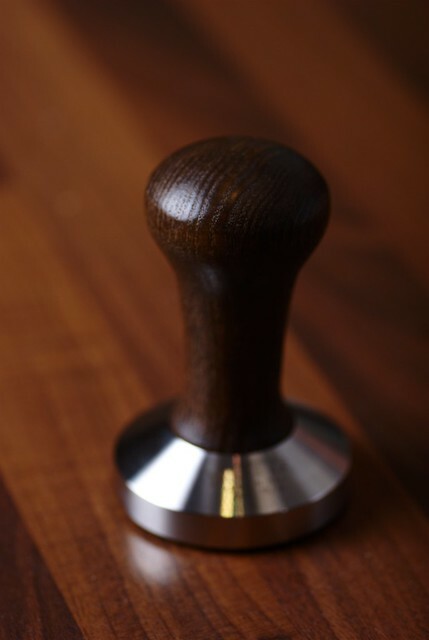 Q1: What sizes do the tampers come in? What’s this “53mm sometimes quoted as 52mm” nonsense? A mm is a mm, surely? If this is the kind of lax mathematics the Italians use to make their coffee machines then I have no faith in the future of their economy. €50million sometimes called €50billion…..
How snug should the tamper fit? My current equipment is a Happy Donkey tamper and Gaggia Classic standard 58mm basket (again from Happy Donkey).The tamper measures 57mm, the basket 58-59mm. When tamping there is 1.2mm coffee left round the edges. I am looking to upgrade to a Torr tamper which comes in either 58mm or 58mm . The 58mm would still leave 0.6mm gap round the edges but the 58 would be a truely snug fit. Which one would be best?? n.b – I emailed Cafe Culture and they recommended 58mm Convex base and suggested that modulation of loose coffee and edge sealing is better achieved with a ”slight gap”, they steered me away from the 58 . Problem is they dont know just how big my basket is, the 58mm would probably still leave a significant gap! Fortunately, there’s no shortage of empathy in the coffee world. Fran – another Senior member (although she’s only managed 68 posts since last December. Come on, Fran! I’m not sure you even LIKE coffee) – feels Gary’s pain. Hi Gary, I’m in exactly the same situation – Classic with HD basket & HD tamper, which is *slightly* too small. I’m mulling over if the size mismatch will have any effect on the espresso. At the moment, after the first tamp, I either give the PF a good slap to dislodge the ‘uncompressed rim’ and retamp, or use a paperclip to move the rim into the centre and then retamp. How do you currently cope?Is it really worth the cost of a new tamper? I don’t know! Garydyke1 is straight in there with his reply. I currently let the weight of the tamper push the grind down, add a little pressure, then do a NSEW , then a final harder press down and polish. I used to tap the p’filter until the edges fell in but sometimes cracks would appear = not good. Looking at spent pucks I sometimes see the edges on the bottom are darker than the middle, leads me to believe an un-even extraction has occured. My shots are good 60-70% of the time. I truely believe a better fitting tamper should produce better results, if not then at least another variable has been fixed. I tried using a friends bottomless portfilter using the above technique, it didnt spray everywhere but the shots were consistantly bitter and occasionally would come out in 2 jets rather than one! If only there were an expert on hand to give these poor people some real advice. Enter Glenn, a Coffee Consultant. he’s been thanked 205 times in 198 posts and I think we can see why. Gary doesn’t seem like the kind of guy who’d indulge in errant movements but if that’s what Glenn says….. Anyway, the advice clearly helped Gary and he thanks Glenn. Waytogo, Glenn! Gary does post some photos of his tamper dilemma but I would have to join the coffee forum in order to view them and, you know what…..? But, hang on, what’s this? Vintagecigarman is sticking his two pennyworth in. There is a perfect solution, but it’s expensive! If you mail your basket to Reg Barber they will make a tamper that fits it perfectly. :>)))That said, I sometimes wonder how good the tolerance is on baskets as they come from the manufacturer – even on commercial ones. Gary’s not convinced that Vintagecigarman really does have the perfect solution. Either one will require slightly differing tamp styles/techniques…. 58 may fit my current basket better, however I may end up with another 58mm basket at some stage in the future which is a little smaller. So 58 may be more ‘future proof’ although a compromise on my current set-up. Aha, but Vintagecigarman trumps everyone with this killer answer. Youch, that IS a tight tolerance but I’m glad we’ve cleared it up. This entry was posted in Uncategorized and tagged coffee, tamper on December 9, 2011 by LizHannaford.